According to the National Center for Statistics and Analysis, in 2011, an estimated 11,773 people died in drunk driving crashes involving a driver with an illegal BAC (.08 or greater). These deaths constitute 31.6 percent of the 37,261 total traffic fatalities in 2011. Every year thousands of DUI cases are dismissed and the victim is left with nothing. An increasing number of defense attorneys for drunk drivers are able to figure out loopholes in the system which can convince a jury to dismiss their client of a DUI. 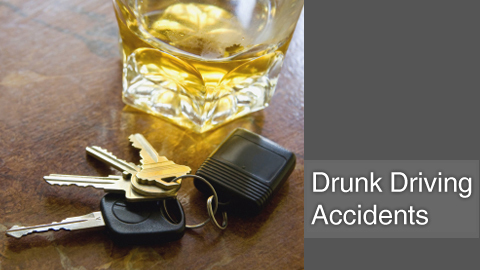 At Lavaee Law Group our attorneys have a zero tolerance and strongly believe that drunk drivers should be held responsible for their actions. If you or someone you know has been injured by a driver under the influence of drugs or alcohol, please contact one of our drunk driving accident attorneys in Beverly Hills at 1-888-97-97-97-8 for a free case evaluation.